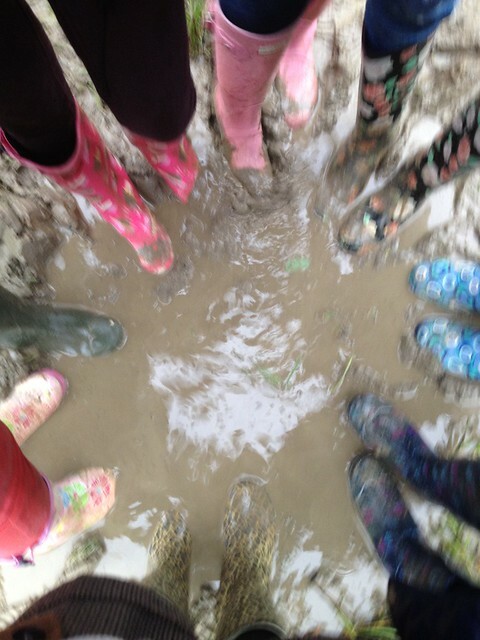 t*rexes and tiaras: their words mostly noises, ghosts with just voices..
their words mostly noises, ghosts with just voices..
Update on the walking plan from last night with Rangers - it rained, but we went anyway and encountered cows and lots of puddles, hence the (somewhat blurry) wellies picture above. Today's outfit post; I swear I seem to live in this pair of shorts recently - saftey pinned wasitband and all.For Day 10 of Selina's May FBlogger Challenge, the title is 'cute tights'. I was kind of glad of a reason to wear some patterned tights - I seem to be drawn to them in shops, yet don't actually wear very many of them. 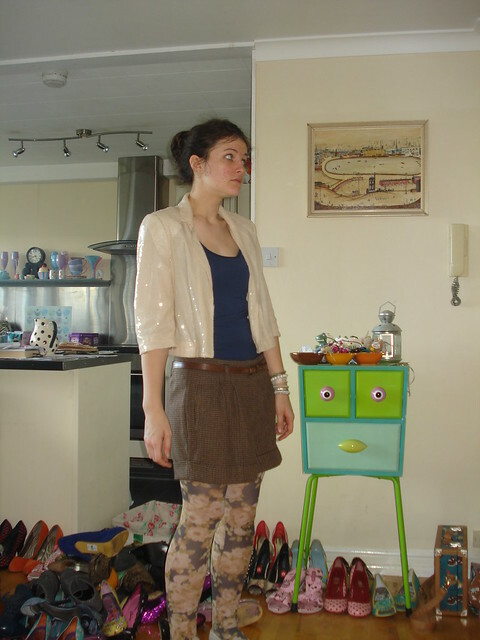 These floral tights came from River Island a long time agoand I decided to wear similar colours in the blazer and vest. I seem to be a little blazer-obsessed recently; I've been trying to track down my ideal one. This one was a total bargain in the Tesco clothing sale one year, but I can't help thinking it would be better if it were just a little longer. It's good over dresses, but for shorts I think I would prefer it to be long enough to cover the mid-section of which I am so self-conscious! Love the shorts and blazer combo - looks great! 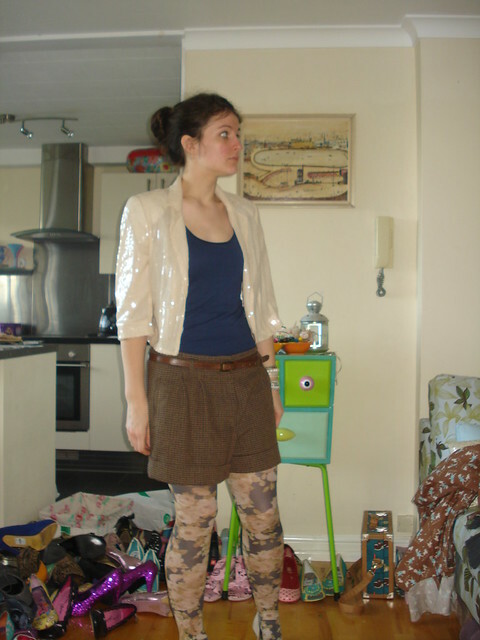 The sequin blazer looks lovely :) I really like the floral patterned tights too!